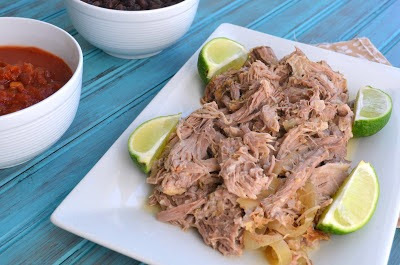 Slow cooker recipes should be mandatory when it starts getting cooler out. Not only do the meals leave the house smelling scrumptious, but it's hard to get motivated to cook when it starts getting dark by the time you get home from work. Set this on low before you leave the house in the morning, and it will make your life much easier. I combined a simple Cuban-themed marinade consisting of orange juice, lime juice, cumin, cilantro and garlic to toss over the pork. My husband is half Cuban, so I knew his reaction would be a testament to if the pork was good or not. And he proclaimed it "amazing" multiple times, so I guess it passed the test. We had these on a tortilla with romaine, black beans, sour cream and cheese. The pork was also great on a sandwich bun the next day. Enjoy! Place the onions on the bottom of the slow cooker. Top with the pork, fat side up. Season with salt and pepper. In a separate bowl, mix the orange juice, lime juice, cumin, cilantro and garlic. Pour over the top of the pork. Cover and cook on low for 8-10 hours. 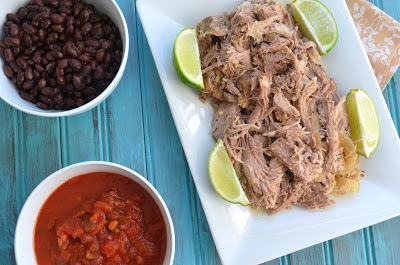 Remove from slow cooker and shred using two forks. Discard all fat. 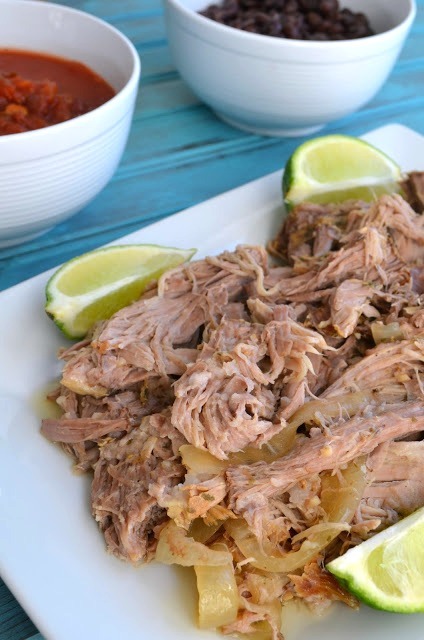 Return to slow cooker with one cup of the remaining liquid. Cook for an additional 30 minutes. Serve on tortillas or over rice with black beans, romaine, light sour cream, cheese and pico de gallo.